KYIV, Ukraine—With the Kremlin tightening its grip on the European energy market, the U.S. has hardened its opposition to a controversial Russian gas pipeline, which is currently under construction through the Baltic Sea to Germany. For months, U.S. officials have said Russia’s Nord Stream 2 pipeline is part of a broader Kremlin gambit to bypass Ukrainian transit pipelines, which have delivered the lion’s share of Russian natural gas exports to Europe for decades. Yet, despite U.S. protests, construction hasn’t stopped, and the 750-mile-long pipeline is about one-third complete as of this article’s publication. The U.S., for its part, escalated its resistance to the project this month, when U.S. Ambassador to Germany Richard Grenell sent letters to construction contractors working on the Nord Stream 2 pipeline, warning of “a significant risk of sanctions” unless they abandoned the project. “The problem with Nord Stream 2 is that it is not an economic project. It was developed for only one reason: to create an alternative route for transporting Russian gas on the way to Europe that does not pass through Ukraine,” Grenell said in an interview published in the German Rheinische Post newspaper on Jan. 15. 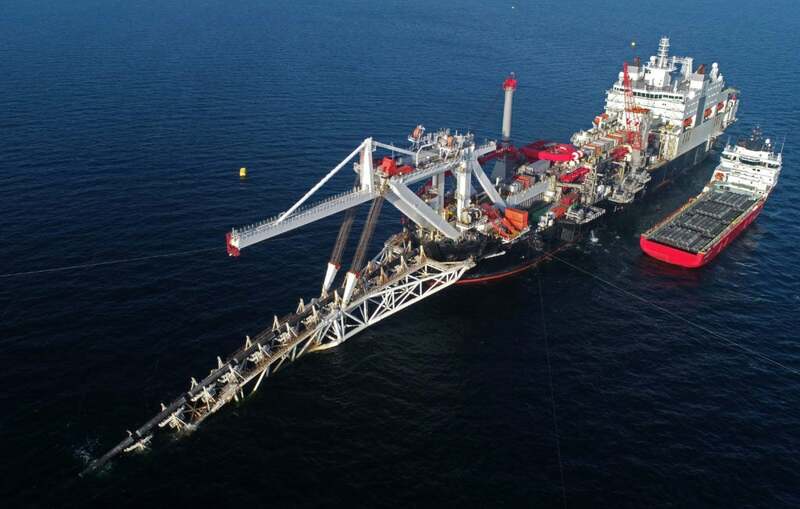 Russia’s gas giant, Gazprom, is the principal shareholder of the Nord Stream 2 pipeline project, with five European companies financing half of the construction cost. Allseas, a Swiss-based offshore pipeline and platform company, is the primary contractor building the pipeline. Nord Stream 2 parallels the existing Nord Stream pipeline’s path from Russia under the Baltic Sea, making landfall near Greifswald, Germany. Nord Stream is the longest undersea pipeline in the world, capable of delivering 55 billion cubic meters of Russian gas annually to Germany. That gas can then be forwarded on to other European clients. Nord Stream—which went operational in 2011—can deliver a little more than a quarter of Russia’s total gas exports to Europe. Once operational, Nord Stream 2 would double Nord Stream’s current annual capacity. “The best possible end-goal for Russia with Nord Stream 2 is to create strategic dependency of Germany as a state, and of the German political establishment, on Russian energies, bypass Ukraine, and increase the importance of Russian interests in Berlin,” Jakub Janda, executive director of the Prague-based European Values think tank, told The Daily Signal. TurkStream, another Gazprom pipeline under construction, also bypasses Ukraine, connecting Russia with Turkey under the Black Sea. TurkStream comprises two pipeline strings, each of which will have the capacity to deliver 15.75 billion cubic meters annually. According to information on Gazprom’s website, the first string is meant to deliver gas only to Turkey, while the second string will directly deliver Russian gas to southeastern Europe. Ukraine’s pro-Western revolution in 2014 set Russia on a crash-course effort to ditch its former Soviet ally as a gas transit partner. 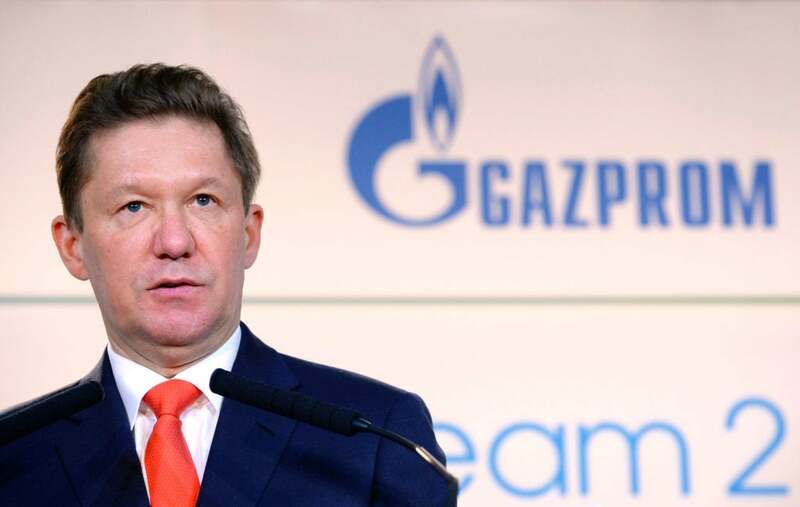 Gazprom announced plans for TurkStream in 2014 and Nord Stream 2 in 2015. The U.S. says Russia’s planned pipelines are strategic threats to Europe’s energy security, entrenching the EU’s reliance on Russian gas. “If European gas supplies through Ukraine become redundant due to the launch of Nord Stream 2 and TurkStream, Kyiv will lose its importance in the field of security policy, which will increase the risk of intervention by Russia,” Grenell wrote in the letters to Nord Stream 2 contractors, Germany’s Bild am Sonntag newspaper reported. For Kyiv, Nord Stream 2 is considered a looming economic catastrophe, just as Ukraine’s economy has begun to recover from five years of war and post-revolutionary upheavals. “In Ukraine, the American position on strengthening the sanction regime towards Russia and, in particular, on the NS2, is highly appreciated,” said Mykhailo Gonchar, founder and president of Kyiv’s Center for Global Studies Strategy XXI. “Against the background of the failure of the EU to stop Nord Stream 2, today only U.S. sanctions can stop it,” Gonchar told The Daily Signal. Ukraine has a contract with Gazprom for $3 billion in annual gas transit fees. That contract, however, is set to expire in 2020. Gazprom has a standing contract to pay Ukraine for the transit of 110 billion cubic meters of gas annually. According to a ruling last year by the Arbitration Institute of the Stockholm Chamber of Commerce, Gazprom has to pay for its contracted transit gas through the end of 2019, no matter how much of that amount actually travels through Ukraine. Both Nord Stream 2 and the second, Europe-bound string of TurkStream are slated for completion by the end of 2019—just in time for Russia to have alternate gas routes to Europe in hand when it goes to renegotiate its gas transit contract with Kyiv. Trilateral talks between Ukraine, the EU, and Russia are scheduled for Jan. 21 in Brussels to discuss the future of gas transit through Ukraine. Russian President Vladimir Putin has pledged that Russia will maintain gas transit through Ukraine in the amount of 14 to 15 billion cubic meters of gas annually. In that case, Ukraine’s pipelines, which have an overall capacity of 142 billion cubic meters per year,would be operating at roughly 10.5 percent of their capacity, according to International Energy Agency and Ukrainian government data. “At such a loading level, the [Ukrainian gas transmission system] will generate losses and lose its functionality,” said Gonchar, president of Kyiv’s Center for Global Studies Strategy XXI. The Ukrainian gas transmission system needs an annual flow rate of at least 50 billion cubic meters per year to break even financially, Gonchar said. 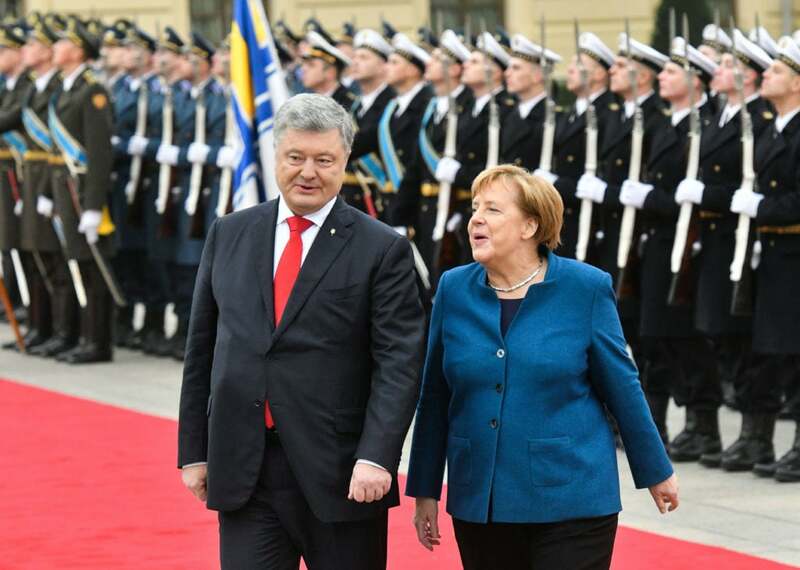 For her part, German Chancellor Angela Merkel pledged last year that Ukraine would maintain its role as “an important transit country” after Nord Stream 2 is operational. Her words, however, did little to reassure Kyiv. “I don’t believe those assurances. They are useless. 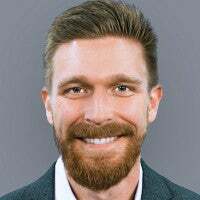 Real guarantees need to be based on math and not words,” said Mykola Bielieskov, deputy director of the Institute of World Policy, a Ukrainian think tank. Ukraine stands to lose about $3 billion annually if Russia cancels its gas transit agreement. That annual loss represents a little more than 8 percent of Ukraine’s 2018 budget of $36.4 billion, and roughly 2.4 percent of its 2018 gross domestic product. Germany, for its part, received between 50 percent to 75 percent of its natural gas imports from Russia last year, according to Eurostat, the European Commission’s statistics organization. Russia also supplied about half of Germany’s oil imports. Germany is the largest single buyer of Russian natural gas worldwide, accounting for 27.5 percent of Gazprom’s total exports in 2017. And in the first half of 2018, Gazprom’s gas exports to Germany increased by 12.2 percent over the same period in 2017, the company reported. Yet, according to industry estimates, only 18 percent of the gas delivered through Nord Stream 2 would actually go to Germany, underscoring the fact that broader interests are at play, driving the controversial Russian project forward. Some in Germany accused the U.S. ambassador of overstepping his authority with the sanctions warning. “Questions of European energy policy should be decided in Europe, not in the United States,” German Foreign Minister Heiko Maas said Monday. Yet, German support for Nord Stream 2 has not been uniform. Some, even within Merkel’s own political party, have previously questioned the wisdom of entrenching Germany’s reliance on Russian gas. 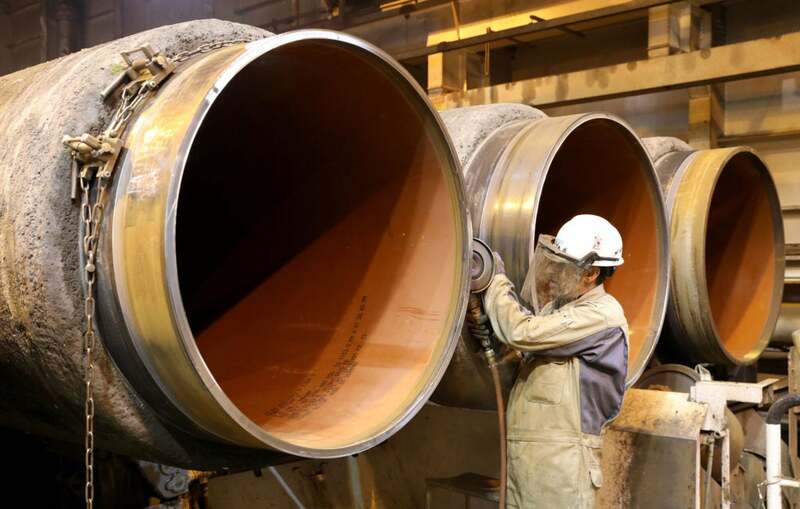 But some say the U.S. sanctions warning could backfire, hardening German resolve to see the project move forward. “If the U.S. decides to go ahead with the sanctions, it can kill the [Nord Stream 2] project because the European companies will essentially have to choose between U.S. and Russia, but it would also create negative strategic backlash against the U.S. in Germany,” Janda, the European Values executive director, said. Most experts agree that the threat of U.S. sanctions is an effective means to dissuade individual construction contractors by threatening their bottom lines. As for Germany’s political climate, however, the U.S. sanctions warning has “closed the German ranks in favor of Nord Stream,” Gressel told The Daily Signal. 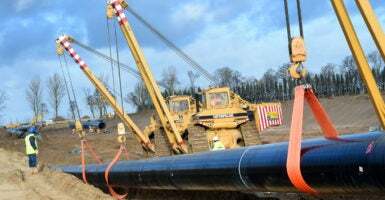 The reason for this, Gressel says, is that the debate over Nord Stream feeds into a broader political narrative, espoused by some German politicians, that U.S. President Donald Trump has infringed on German sovereignty. In 1998, 95 percent of Russian gas transit to Europe went through Ukrainian pipelines, according to Gazprom. By 2011, when the first Nord Stream pipeline went operational, the share of Russian gas transiting through Ukraine to Europe had dropped to 56 percent. Following Ukraine’s pro-Western revolution in 2014, the amount of Russian gas transiting via Ukraine to Europe reduced from 83.9 billion cubic meters to 58.9 billion cubic meters—a 29 percent drop in one year. In 2018, Gazprom used Ukrainian pipelines to deliver about 38 percent of its Europe-bound gas, Gonchar said, citing Ukrainian government data. Russia and Ukraine have been in a de facto state of war since early 2014. Consequently, energy independence from Russia has become a cornerstone of Ukraine’s national security strategy. Ukraine weaned itself off of direct Russian gas purchases in 2015, favoring supplies from the EU, which mainly comprise rerouted Russian gas bought through EU proxies. Last year, 86.8 billion cubic meters of gas passed through Ukrainian pipelines. Yet, of that number, 10.6 billion cubic meters were reverse flow Russian gas that Ukraine bought from the EU for its own domestic use. So, the actual amount of Russian gas transiting through Ukraine to the EU in 2018 was 76.2 billion cubic meters—representing about 54 percent of the Ukrainian gas transmission system’s overall capacity. During a period of peak Russian gas deliveries to Europe from late February to early March of 2018, two pipelines through Ukraine—ones with connections to Slovakia and Hungary—were operating at only half their capacity. For Russian gas, “Ukraine is the only transit route with spare capacity in times of peak winter demand,” says the Oxford Institute for Energy Studies. For its part, Nord Stream was operating at 97 percent capacity for all but 11 days in 2017, industry data shows. Similarly, a Russian pipeline to Europe through Belarus operated at 95 percent capacity for all but 22 days in 2017. In 2014, Russia invaded Crimea and began a military campaign in Ukraine’s eastern Donbas region. Consequently, Brussels pledged to cut the EU’s energy reliance on Russia. Yet, in 2018, Russia remained the largest oil and gas supplier to the EU, according to Eurostat. And Russia’s grip on the European energy market is tightening. Eleven EU countries relied on Russia for more than 75 percent of their total national imports of natural gas in 2018, according to Eurostat data. In Europe, natural gas demand is up, while natural gas production within the EU is on the decline. It’s a lucrative setup for Russia, which now supplies roughly 28 percent of the EU’s oil, and about 41 percent of the EU’s natural gas imports. Across the board, Russia’s relative share of the EU’s energy imports has been on the rise since the end of 2016, despite the 2014 EU resolution to cut its energy reliance on Russia. In 2017, Gazprom supplied a record total of 194.4 billion cubic meters of gas to European countries—an 8.4 percent increase from 2016, according to Gazprom data. Through the end of November 2018, Gazprom’s year-to-year gas sales to the European Union increased by another 6.2 percent, the company reported. “At the end, it is a strategic political decision, which some of the Eastern European countries are slowly making, but also many individuals in the Western political establishment are now willing to take—they prefer the cheap prices over geopolitical security,” Janda said. Besides the Nord Stream 2 and TurkStream projects, Gazprom is also expanding its underground gas storage sites and gas transportation infrastructure across Europe, underscoring Russia’s tightening grip on the Continent’s overall energy market. From 2006 to 2016, Gazprom’s gas storage capacity in Europe increased from 1.4 to 5.0 billion cubic meters, the company reports on its website. Those gas storage facilities are clustered in Germany, the Netherlands, and Austria. Russia has also invested in other ways to deliver gas to Europe. On Jan. 8, Putin was on hand to commemorate the opening of an offshore gas-receiving terminal in Russia’s Kaliningrad exclave—a territory nestled between Poland and Lithuania on the Baltic Sea. The new gas-receiving terminal, built about 3 miles offshore, allows for 3.7 billion cubic meters of gas to be delivered to the Russian territory by sea annually. That gas can then be stored in underground storage reservoirs or forwarded on across Lithuania to Belarus via an existing pipeline. Gazprom has plans to increase its gas storage capacity in Kaliningrad to 800 million cubic meters by 2025, the company says on its website. As Russia builds up its European gas transportation infrastructure, some say that the Kremlin’s clout on the Continent is also on the rise. Russia’s gas sales to Europe are also “a tool to funnel money into political influence and intelligence operations,” said Gressel, of the European Council on Foreign Relations. “Gazprom is very untransparent, and a lot of money gets lost on the way. But wherever they are, pro-Russian politicians surprisingly start to flourish,” Gressel said.